After leaving Viareggio we drove about 10 minutes north to the town of Forte dei Marmi In Italian – Forte dei Marmi means “Fort of the marbles”. Forte dei Marmi is a sea-side town and is located along the northern Tuscany coast between the Marinas of Ronci and Pietrasanta, in an area known as Versilia. The town takes its name from the fortress that rises in the middle of the main square, built under Grand Duke Peter Leopold. This is a very pretty town with its very own character. The shops are just so lovely and even the streets are beautiful. It looks like a good place to go to for shopping especially high-end shopping, with many of the shops carrying popular designer labels. When we arrived it was obviously siesta time as most shops were closed but for us it was a great time to be there as there was plenty of parking and we were able to wander around everywhere leisurely. One of the most important shops was open, yes the gelataria. Naturally we had to try it out. Everywhere you look there are beautiful flowers and plants, lots of trees and pretty outdoor seating. We did learn while we were there that each Wednesday, a market is held which has become famous for deep discounts on designer clothes, leather goods, and other products. This will be on my list of things to do on my next visit to this lovely area. 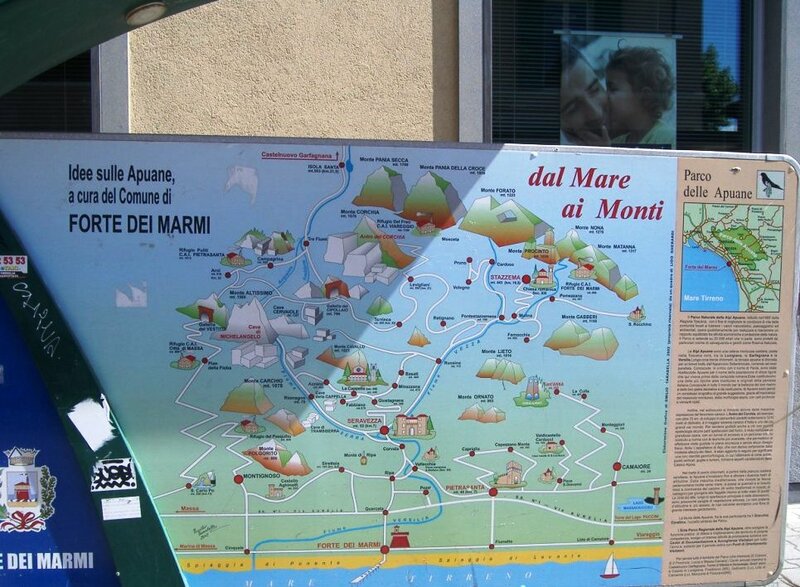 Forte dei Marmi is only about an hour drive from Bagni di Lucca, via Lucca along super roads. We did return to Bagni di Lucca a different way, driving over the mountains. It was a stunning drive however it did take longer this way. A shopping spree would be such a wonderful experience in this town. I love the clean, upscale look of it. 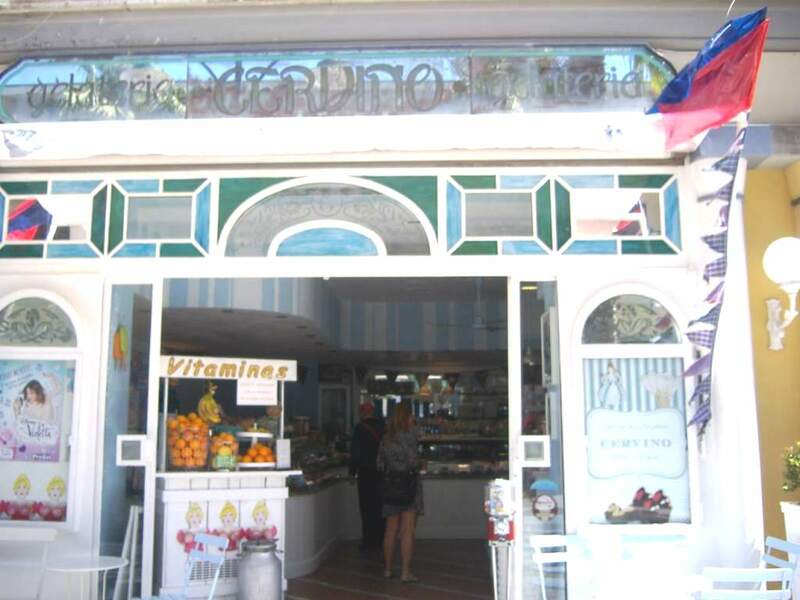 Forte dei Marmi is one of our favourite places to go for lunch. The passeggiata there is such fun to watch. I really regret not visiting tthe coast when I was in Tuscany last time. Great post. It would be nice to see some photos during the summer. As your title implies, “Another delightful Discovery”. Next time you have to go when they have their mercato all’aperto-probably the best I’ve been to-really high end products.